Just before Thanksgiving rolled around we had a last minute shoot with Smokestack Films for a new music video for up and coming singer/producer, Maggie Rogers' new track 'On+Off.' Maggie, fresh out of NYU recently made her way onto the scene virtually overnight after a video went viral of Pharrel Williams listening to her track, "Alaska" at his masterclass at NYU's Clive Davis institute back in February. He was speechless to say the least. Since then, she has put out a couple of music videos, played a handful of shows around NY and is now currently embarking upon her first big national tour, most dates of which happen to already be sold out. 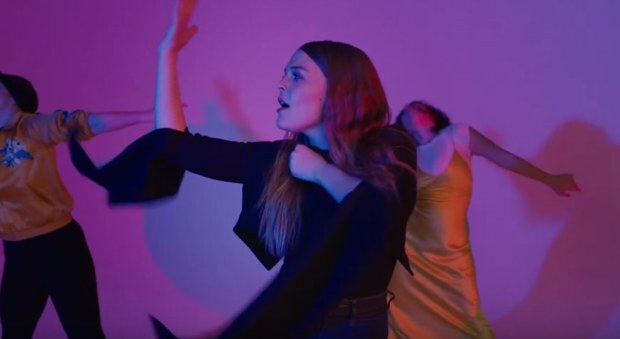 Maggie and her production team went in a more stripped down direction for this video at our Brooklyn soundstage, bringing in a small crew of dancers along with some whimsical choreography and some excellent use of minimal lighting to make use of our giant Cyclorama. Take a look here!